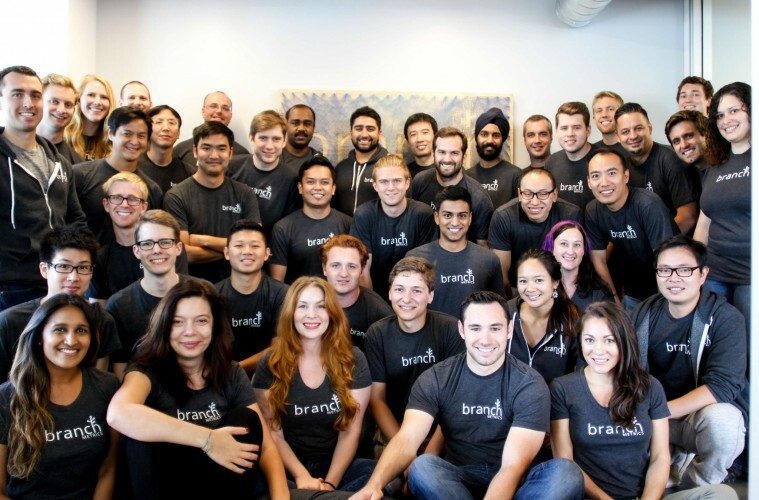 Interesting in depth interview with Mike Molinet from Branch Metrics @branchmetrics. The free deep linking tool for app growth & attribution. Branch Links are for seamless referrals, sharing, & deep linking through install with contextual links. 1 minute pitch, what does Branch Links do and why is it awesome? We are a mobile deeplinking platform for mobile apps that uses universal links to pass data through the app install process. Our links help increase app virality, reduce friction in user onboarding, and engage new users more highly by personalizing the first-time experience based on where new users downloaded from. This opens up the mobile ecosystem allowing developers to get their apps and content discovered on merit rather than their placement in the app stores. Your background, how did you get into what you do now? I spent five years as a mechanical engineer working on hardware before moving out to Silicon Valley to start a tech company. I had founded a couple non-software companies before and always dreamed of building something in the software space that could affect millions or billions of people. I moved out to San Francisco in 2012 to study at Stanford, and shortly thereafter I met my cofounders who shared a similar vision. We came from different engineering backgrounds and had very different but complementary skillsets. We started two companies before Branch, the second of which was a mobile app that led us to discover the challenges associated with growing an app and getting discovered on the app store. Despite being “featured” by both the Apple App Store and Google Play, we always struggled to get our app into new users’ hands because of the challenges associated with passing the context of a new user through the app download process. We had built referral, sharing, and organic attribution features for ourselves when the lightbulb switched on: if we could build something for others that enabled them to solve the same problems that we (and every other app developer) were facing, perhaps that was the bigger opportunity. After a year working on Kindred (our app), we switched gears and started building what would later become the Branch SDK. It started from humble beginnings: a referral SDK that passed the referral information through install to eliminate the need for referral codes and to personalize the first time experience with a welcome screen. But once we put it in the hands of developers, they started doing a lot more cool things with it, including deeplinking to content through install and tracking downloads from organic channels. What are you excited by at the moment? We’re in a transitionary stage right now for mobile apps, and the next few years are going to see some amazing changes. Even though mobile apps have been around for almost a decade, a lot of that time has been spent dealing with the platform shift from desktop to mobile. We’re now in a point where the shift has happened, and the next few years will see some amazing optimizations and changes built on top of mobile apps. There’s still so much untapped potential with mobile, and we – as a mobile company – are excited to see how things play out. Any of these that will help in your day to day work also / what sort innovations are you looking to introduce? Previously (and even today) it’s nearly impossible for new apps to get discovered and grow big based purely on merit. The app stores are primarily focused on featuring the tops apps that are already succeeding, and for new apps, often the only way to make it to the top is through advertising spend. There are about 5,000 brand new apps hitting the iOS app store every week, and many of them are from small companies that can’t afford to spend on ads and don’t have the existing user base to make it to the top ranks. Branch and number of other companies are working on solving this by helping new apps with the best content and highest relevancy get discovered, regardless of ad spend or existing user base. Everyone takes a different approach, but it’s all with the same mission: to help apps grow and get the most relevant apps and content into the hands of users. How was the last 12 months for you? The last 12 months for Branch have been an incredible ride. We transitioned into Branch in June of 2014, and we released the initial version of our product late last September. In 12 months, we’ve gone from a team of 5 with 10 customers to a team of 45 with over 3000 customers. We’ve seen explosive growth in every metric, and Branch has become a leader in the space. Really it’s a testament to the need in the mobile ecosystem that Branch is helping solve. We simply built a product that was needed by a lot of app developers, and they get a lot out of the service we provide. We’re just trying to stay out of the way and let our customers build amazing things with the tech, which we’ve open sourced. And when our customers ask for new features, we build what they need (rather than trying to guess what we think people need). For me personally, the past 12 months have been transformational. It’s really rewarding to build something from scratch for a need we had ourselves and then see that same tech pushed to thousands of apps and hundreds of millions of phones. I’m just lucky to be along for the ride that’s fueled by amazing customers and a once-in-a-lifetime ecosystem. What are you most happy about? Besides having built a much-needed tech and company that our customers love, I’m most happy with the team we’ve assembled here at Branch. We have a solid group of some of the smartest yet humblest people I’ve ever met, who are execution-focused and move at an incredibly fast yet thoughtful pace. I love coming into the office every day and seeing how quickly the team is able to move and the amount of work everyone is able to do in a day. Every single person here is extremely focused, hardworking, and sharp, and yet they’re all incredibly friendly and humble, making Branch a great place to learn and grow. Anything you would do differently if you could? It’s hard to say that I’d do anything differently because the path (even the mistakes) have led me and us to where we are today. If there’s anything, I’d say that I should’ve dreamed bigger from the beginning. For those wanting to make a dent in something, go after something truly huge. We started off building a photobook-making app. And while it led us to discover the challenges of growing a mobile app, that business in and of itself would never have been big. I now encourage people asking me for advice to step back and think of the bigger problems they’re facing. Don’t go just build another travel-itinerary app – attack the bigger problems with travel. Don’t go build an app for aggregating taxi numbers – build something that will change the way people think about ground transportation (Uber). I wish we had dreamed bigger from the start. Then again, you need to start somewhere, so no matter what, just start and then be flexible enough to change when you see bigger opportunities. I mean, shoot, even Uber started out as UberCab, which was a competitor to TaxiMagic. Where do you hope to be in next 1 – 3 years? It’s hard to say exactly where we might be, but I hope wherever it is that we’re helping open up the mobile ecosystem more so apps can more easily get discovered. What that looks like exactly will really depend on how the mobile ecosystem changes over the next couple years. But if we can help new apps grow and help users find apps and content that appeal to them, we’ll be happy. Have you been to the Dublin Web Summit before? What will you be speaking about when you attend this year / who might it appeal to? We’ll be talking about a few things, including how Branch and deeplinking in general helps apps in a number of ways. With Branch, we see conversions of new users nearly double, we see significantly increased engagement from new users, and we see retention double for people that were deeplinked or shown a personalized onboarding screen their first time using the app. It’s amazingly powerful tech, and there’s still a ton of opportunity for mobile app developers to get more out of their new users. What tech do you wish was already invented and available to make your life easier? Besides some of the things Branch is building? 😉 I’d say one of the most challenging things (outside of what Branch helps solve) that I face on a daily basis is customer relationship management (CRM). There are a lot of CRM tools out there for sales and customer relationships, but a lot of them are disjointed or antiquated. There’s a massive opportunity for a single tech that easily and seamlessly helps companies engage with new and existing customers in a way that fully tracks everything, ties into existing tools (e.g. gmail), and helps gives customers the perfect experience when dealing with customers from day one. Life / work, online / offline, what are your strategies for managing it? I’m probably not the best person to take tips from for work/life balance since I work 16-hour days on average. But I’ve found a few things work well for me. First, I like to work hard when I’m at work and not go home until things are done. But then when I go home, I usually leave my computer in my bag and live my life because I know that everything at work is completed. As I write this, I’m approaching hour 17 for work today, but that’s because I knew I wanted to complete it before going home. Some people prefer to integrate work into their home life, so they’ll leave earlier and then do work from their home, but that’s not me. Whatever your working style, figure it out early and live by it – you’ll be a much more efficient and happier worker. Second, find one or two hobbies, and always make time for them. I love building furniture, especially out of reclaimed wood. I work really hard during the week because it leaves time on the weekend for me to build things with my hands. I usually unplug for one whole day (often Sundays) and just spend time on whatever woorworking project is in process. It doesn’t matter what your hobby is, but whatever it is – make time for it every week. Third, I give my full attention to whatever it is I’m doing. When I’m at work, I focus 100% on work – no Facebook, no news, no texts with friends. But when I’m offline or at home, I commit to whatever it is I’m doing or whomever I’m with. I avoid doing work (when possible) when I’m unplugged and I avoid checking email when out with friends. But when I’m back in front of a computer, I’m 100% focused on that so I can get what needs to be done in an efficient manner. Finally, surround yourself with supportive people who understand you and your working style. I’ve definitely lost friends and girlfriends because I focus too much on work. But my friends who understand how I operate (i.e. when I’m at work, I’m 100% focused on work, and when I’m with them I’m 100% focused on them) have stuck around and get a lot out of our friendship. Whatever you style, find people who understand and support it, and don’t worry about the other ones who don’t “get you” or want you to change. How / where do you create time for yourself to be a dreamer and a thinker? I find the best time to do this is when I’m doing one of my hobbies – mainly woodworking. It’s so easy to get lost in the hustle of daily meetings, emails, and calls that it’s hard to step back and look at things with a fresh perspective through a new lens. I like to unplug completely, change environments, and do something completely unrelated to Branch. This allows me to reset my thoughts and let my brain wander. That’s when the dreams come and you’re able to get a fresh perspective on things without being distracted by the everyday activities of work. For some, that’s while reading a good book or going on a hike in nature. For me, the best time is when I’m covered in sawdust from 200-year-old reclaimed Redwood making a piece of furniture for a friend.